All restaurants and businesses in Denver International Airport's terminal will eventually close while the Great Hall Project takes place. DENVER — And so it begins. Denver International Airport travelers have begun to notice the first changes due to the airport's Great Hall Project: Some of their favorite dining and shopping spots are closed. 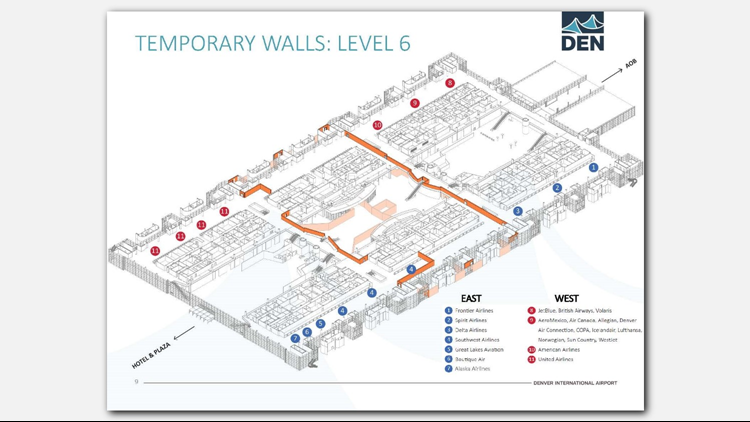 The airport says that because of the massive construction project beginning this week, all existing concessions in the Jeppesen Terminal will have to close eventually. The good news is the closures will happen in phases. 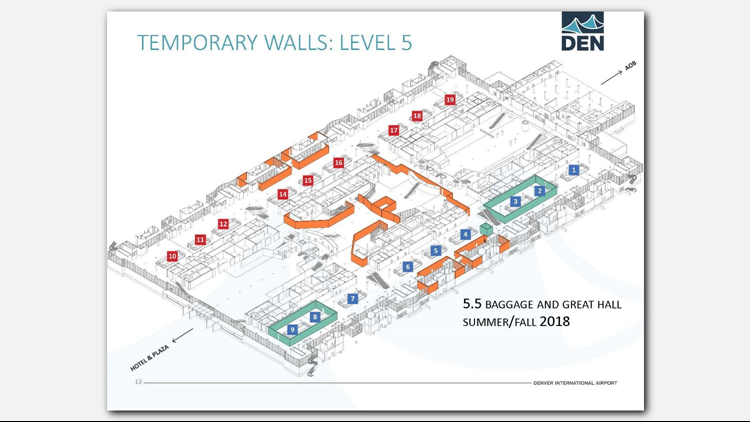 While they are working towards securing temporary concessions in the terminal, the airport reminds travelers that there are dining and shopping options in the Westin Hotel and Transit Center and on Concourses A, B and C.
Travelers will see temporary construction walls installed on Level 5 and Level 6 throughout July. To learn more about the Great Hall Project, visit FlyDenver.com/GreatHall.